Register Log In Vannin' Community and Forums Forums General Discussion Chevrolet G20 LPG Conversion? 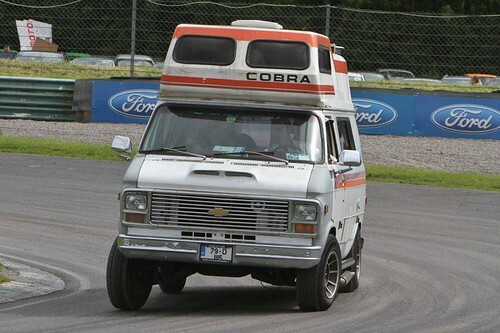 I've got myself a Chevy G20 camper conversion. I'm going to be converting it to LPG fairly soon so I can take advantage of the cheaper fuel here. What I'd like to know is where anyone that's previously installed LPG kits has installed their LPG tanks? There's space underneath the van I believe but I'd like to see what other people have done before I commit to anything. I have dual tanks under the floor, long skinny ones between the unibody/chassis rails. Tall order, but would it be possible to take pictures? I'm really curious on the size and placement before I commit to anything. Hard to get good shots but basically they are mounted on custom cradles bolted in place just inside the lower rocker panels between them and the frame rail. There was a small amount of metal cutting required to the horizontal plates that go between the rocker panels and the frame rail. Last edited by shaggy; February 01st 2019 5:42 pm.